Well it’s officially Fall. The time of year for the leaves to start changing, department stores to start putting up their Christmas decorations and birds/retirees to begin heading down south in preparation for the Winter. In our casa, it’s the time for the crockpot to maintain a permanent position on the kitchen counter, and stews and casseroles to be on the menu for most nights of the week. There’s just something about the cool, brisk weather of fall that makes people crave things deemed as comfort food. Be it Chicken Pot Pie, mashed potatoes, biscuits and gravy, whatever. Being the good southern boy that mi papa is, he answered quickly and with little hesitation that his idea of the perfect comfort foods are fried chicken, his mama’s green bean casserole and some ooey gooey macaroni and cheese. I’m sure most of Louisiana would probably list these same things (with a few fried alligator and a side of King Cake thrown in for good measure). And he made sure to note that when he says macaroni and cheese, he’s referring to the homemade kind with real cheese, whole milk and butter. Not the kind that mi mama grew up eating and considers delicious. Sadly, I’m sure there are others who would agree with her, but there’s just something about consuming a powdered cheese product that turns your pasta into a neon orange mess that just doesn’t seem right to me. Oh well, to each her own I guess. At least she’s getting in her calcium. Anyway, back to the macaroni and cheese of mi papa’s youth. I could tell from the shine in his eyes after discussing his comfort foods that he was now seriously craving some of this stuff. And being the thoughtful and loving TeenyLittleSuperChef that I am, I decided to whip up a batch of this yummy goodness for him. But with a healthy twist, of course. I mean, I love the guy, but I also love having him around to give me cuddles and belly rubs, and I fear clogging up his arteries with a bunch of undesirable saturated fat might cause him to be unable to do those things anymore. Is that selfish? Possibly so, but I’m also trying to keep him around and healthy for mi mama’s sake too. Without him, who would open all those tricky jars or reach items way too high up on the pantry shelf? Who would laugh at all her lame jokes or have an impromptu dance party with her in the living room whenever an Air Supply song comes on the radio? See, if anything, I do my acts of kindness and generosity out of love for her (and if you’re reading this now, Mama, I think I deserve an extra carrot or Greenie after dinner tonight… just putting it out there). So as I mentioned, I wanted to healthify my macaroni and cheese casserole for mi papa and took to brainstorming different ways of doing so. I wanted to preserve all the flavor of a traditional mac n’ cheese without having to include all its heart attack inducing ingredients. Upon glancing around mi kitchen for inspiration, my eyes narrowed in on a funny and almost phallic looking item sitting on the counter. Ahh yes, the butternut squash! What better way to replace some of the unhealthy elements of the casserole (i.e. the butter) than a delicious vegetable full of tons of wonderful vitamins and nutrients– the “butter”nut squash. Coincidence? Yeah, probably, but who cares. It got my creative juices flowing and I was able to create an incredibly mouth-watering dish that not only took mi papa back to the comforts of his childhood down South, but also provided him with nearly 200% of his daily recommended value of Vitamin A and 50% of his daily calcium requirements. Cha-ching! 2) Puree butternut squash in a large pan with a potato masher or hand-held mixer until smooth but not watery. 3) Heat same pan containing butternut puree over medium-high heat. Add the milk, butter, yogurt and Cottage cheese and stir until well combined. 4) When mixture begins to simmer, slowly start adding the Cheddar and Colby Jack cheeses, mixing the entire time. 5) When all the cheese is melted and the sauce begins to thicken, season with salt and pepper to taste. 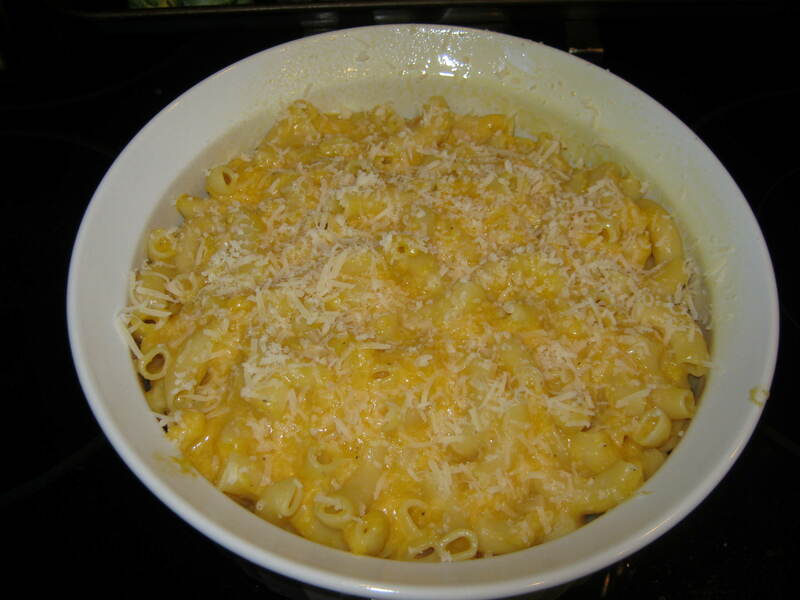 6) Begin adding in the cooked macaroni a little at a time, until all the pasta is coated with the cheese sauce. 7) Transfer mixture to an oven-safe casserole dish and sprinkle with the Parmesan, if using. Bake 20 minutes. 8) Remove from oven and allow to cool 5-10 minutes (if you can) before serving. Dig in and prepare to keep coming back for seconds.. and thirds. I think I scored mucho belly rubbing points from mi papa over this dish which I’ll be cashing in on very soon. 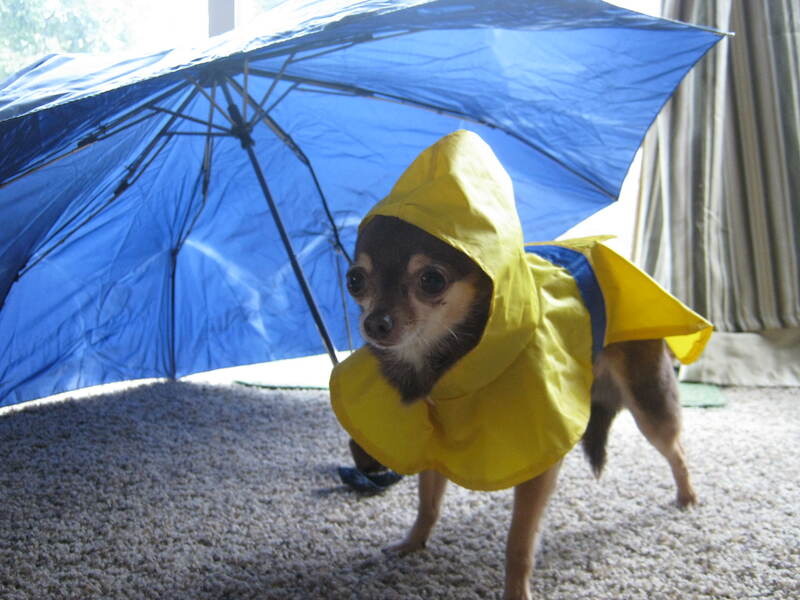 But first, it’s time for my daily walk to the park with mi padres. Looks like rain. I better dress appropriately. Oh my gosh! That puts the Kraft kind to shame for sure. Who knew homemade could look so delicious. Can’t wait to try it! Teeny, you’re a culinary genius! Yeah, I am a calorie counter as I am tryong to shed some lard for my wedding! Hola Jess! I’m so happy you like my mac and cheese recipe. I don’t think this recipe would serve 6 people as a main dish and depending on how big of an appetite your guests have, it might not be enough as a side dish either. I served it to mi papa as a side dish and it ended up only making 4 portions for him total. He eats a lot though. You could always double the recipe and just use a larger casserole dish. Let me know how it turns out. 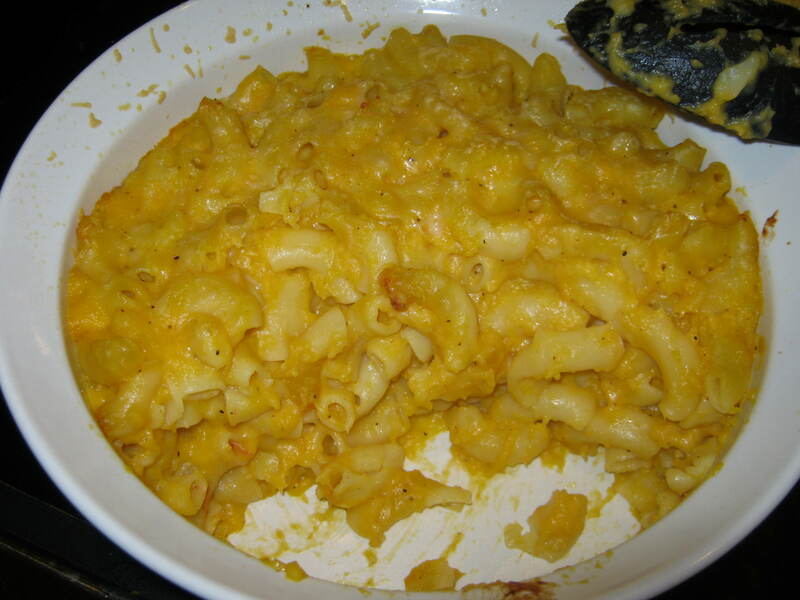 We cooked the butternut squash macaroni and cheese casserole recently and enjoyed it very much. It was easy to prepare and very tasty.